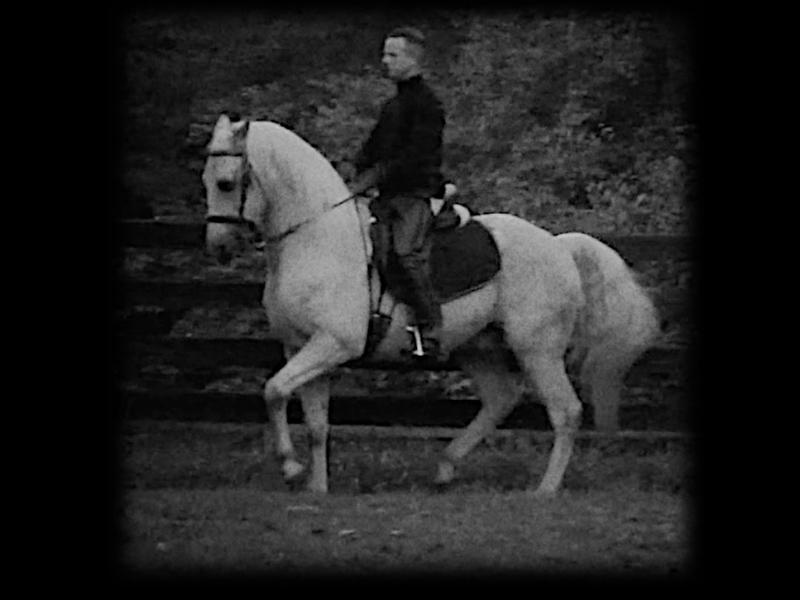 The ability to execute certain movements correctly can indicate the horse’s progress. But too few riders appreciate the fundamental difference between teaching a dog to “sit” and bringing a horse to “piaffe”. High school is about teaching the horse a sensate, tactile language capable of directing his form in every way. Once this language is understood, and presuming the horse is physically capable of responding, producing any given “movement” or series of movements becomes trivial in and of itself. When we first come to dressage, it seems that the high school horse has obviously been, for example, “taught to piaffe”. This would be to teach a violin to play music, which, of course, is not possible. Music is made by a violinist (using an instrument which passes for a violin). The ‘movement’ as it were is played upon the violin. It is not that my horse has been “taught to piaffe”. My horse has been brought to a point of development such that he will allow the piaffe to be played with himself. Presuming he has been properly trained, and follows my aids to the letter, he must: trot + retain impulsion + increase disengagement all at once. With such orders he can only piaffe. But before reaching this point, he must be made an instrument through a rational education. He must learn to be played by an educated rider. He must become receptive to it: he must learn to calmly search for and deduce what I need instead of resisting. Before he will piaffe there must be three certainties in his mind. He must know to take a gait – the trot in this case – and to not break it unless he is double-dog certain I mean for him to. He must know when I intend for him to increase his energy – his impulsion. Contra-wise, he must know when I mean for him to disengage – that is: to keep doing what he’s doing in every respect, but cover less ground – all the way down to no ground, or even negative ground – just as if I applied the clutch in a manual-shift car while keeping the RPMs the same. When he is certain about all three things, the three things may be requested at once. The result is a piaffe. But it does not come about as the result of a special aid or signal “to piaffe”, as in the case of teaching a dog to “sit”. Each of the above three certainties is tantamount to the violinist’s “note”. Multiple notes comprise a chord. In our example, the chord sounds like a piaffe. Now let me say that it is possible to use the dog training method to force a horse to piaffe – by forcibly restraining in him in one place, and applying a negative stimulus (whipping his legs) until he trots in place – for fear of not trotting. But this is not dressage. It will not produce a correct piaffe. No more than a gun, a hostage, and an afternoon will produce a ballet dancer or martial artist. The results are ugly and uninteresting. They resemble the disjointed piaffes too often seen in the show ring, or among the “dancing horses” of Mexico. It should be evident these “piaffes” are not at all connected to the rider.